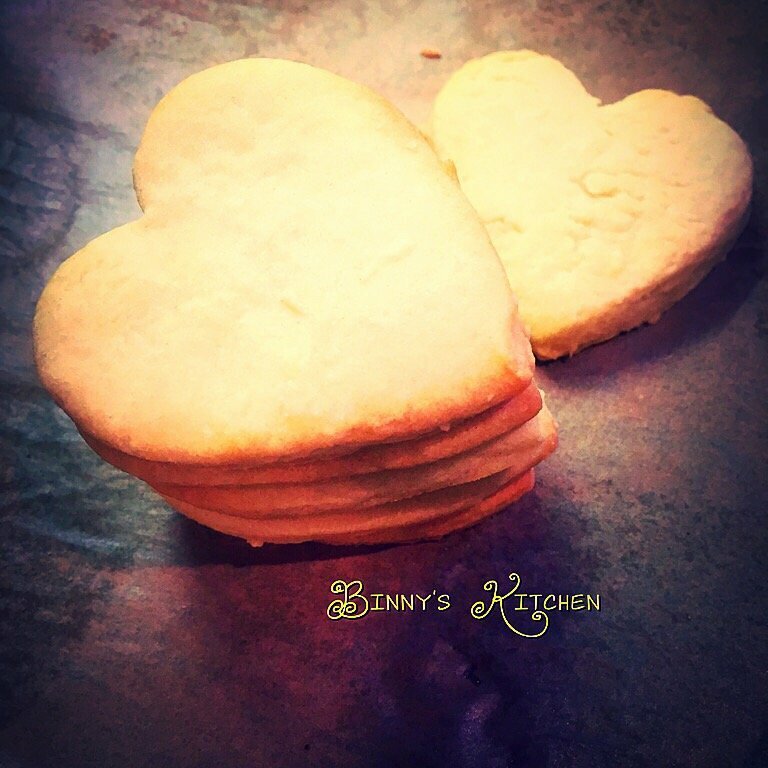 Shortbread biscuits are impossible to resist especially with their goldeny, buttery and crumbly texture. They are relatively quick and easy to make and with a baking time of just 17 minutes they are perfect golden morsels of goodness to enjoy on a lazy day with a cup of tea/coffee or as a dessert. You only need basic ingredients too! Win win! Mix up the butter and sugar and flour until you get a crumbly texture. Add the milk and knead the mixture until it is smooth and dough like. Form this into a big ball shape and wrap in cling foil. Place it in the fridge for 40 minutes. Then place the dough on a floured surface and roll out using a rolling pin. Use cookie cutters to create some shapes and place each shape on a baking tray. I put a piece of parchment paper on the baking tray to stop the dough sticking. Pop the tray into the oven and bake for 17 minutes.